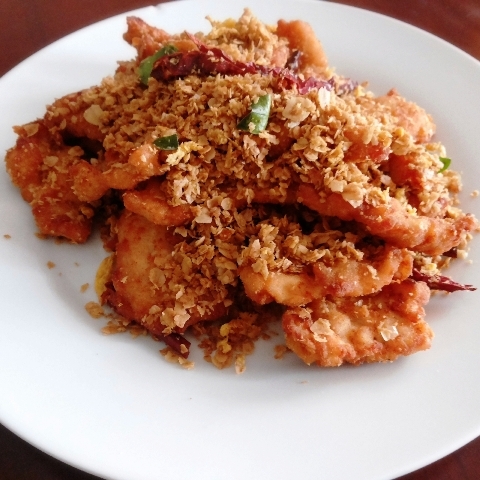 Cereal Butter Chicken is Fried Chicken Fillet combine with some oat or nestum. ordinarily, others cook it with prawn. 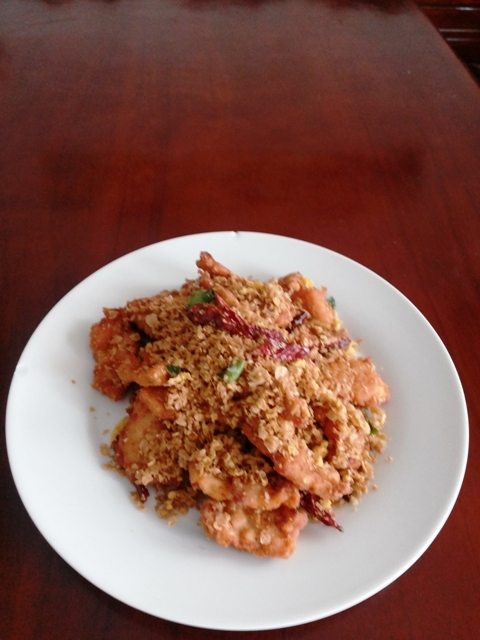 also in Chinese restaurant we could see cereal butter prawn in their menu. i have tried it several time. So, i decide to cook it at home. As i am not going to traditional market so a little bit hard to get fresh prawn, then i prefer to replace prawn with Chicken fillet that easy to find in supermarket at mall.. I am not using curry leaves and change to lime leaves which freshly harvest from my mom small garden. 3. In a wok, melt the margarine, add egg yolk, fry and stir continuously in order to make some egg floss. 5. Add in oat, stir and cook until oat almost golden brown. 7. Remove from heat. Ready to serve. Wow...looks yummy...I think someday I will try your ayam nestum recipe...never eat this before. Thanks for sharing.